Cats are enigmatic creatures. 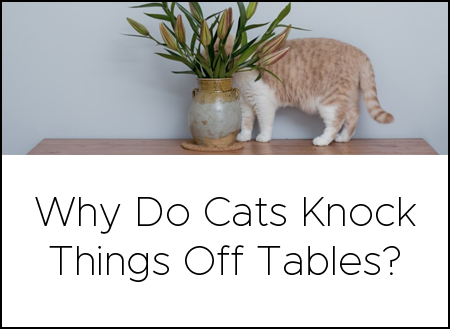 We’d like to believe that a sophisticated motive exists behind their puzzling behaviors, including their desire to sit on a sheet of paper on the floor or recline across a newspaper in your lap. The truth may be less exciting. 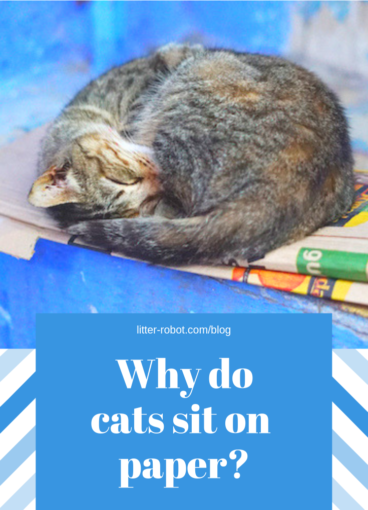 Although not exactly scientific, let’s take a look at a few ways to answer the question: Why do cats sit on paper? Cats are notoriously territorial, especially if there’s more than one of them in the household. Everything in its place and anything out of place—like a random piece of paper—must be claimed. And how do cats make their claim? 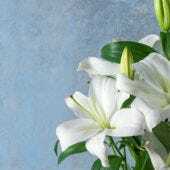 By scent marking. 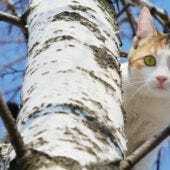 Scent marking is when your cat deposits pheromones and oils from the scent glands located on his forehead, cheeks, chin, and paws. Your cat may leave a scent trail on prominent objects around the house. If you find him sitting on paper as if it’s his throne, well, now you know why. Did you know that cats have an even stronger sense of smell than many dog breeds do? Research shows that cats have between 80 and 200 million scent receptors. (Humans don’t even come close, with around 5 million scent receptors.) 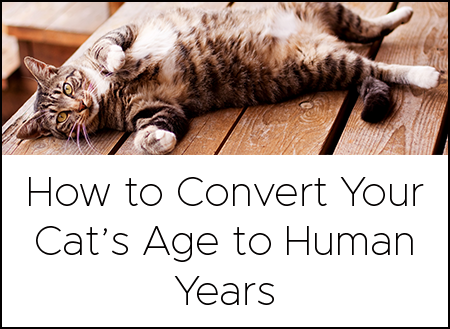 With these numbers, it’s safe to say that cats are guided by their noses. So, one of your cat’s favorite things about you is your identifying odor. 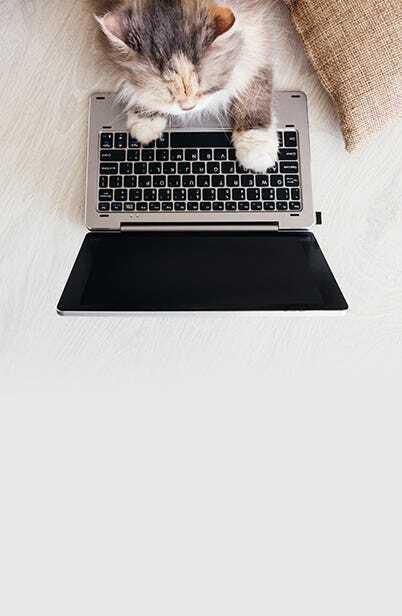 If you’ve been handling the newspaper, your favorite paperback, or that clutter of printouts you keep meaning to recycle, chances are your cat will smell you on them. 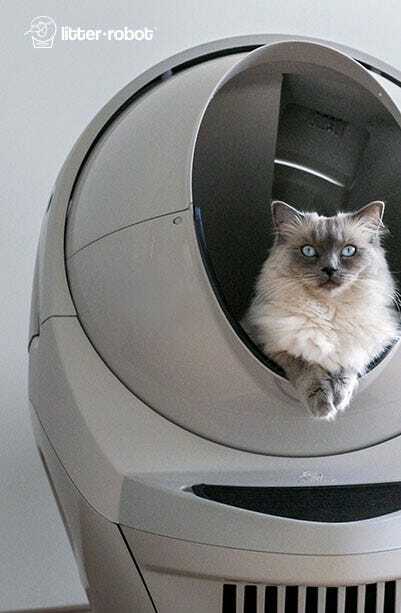 You feed your cat, you cuddle your cat, you clean your cat’s poop (unless you’re a Litter-Robot customer)—you make your cat happy. Therefore, anything that smells like you also makes your cat happy. We never said that cats have the best grasp on dimensional space. When you compare something square or rectangular like a piece of paper to something square or rectangular like a box, it’s not a great leap to suspect that your cat might find each object pleasing for similar reasons. Cats generally seek out boxes because of their instincts to find cover for hunting, as well as to hide from other predators. They may equate the tight space offered by paper with the security offered by a box. After all, a flattened box is just a bigger, thicker piece of paper, right?